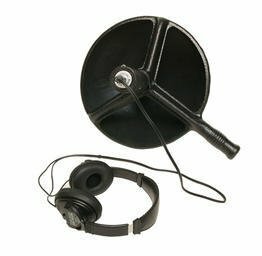 There are a number of reasons why you might want to consider a parabolic listening device. You may just want to hear the sounds of nature up close, record waves at the beach, or sneakily want to overhear what someone else is saying. Whatever the case, a sound amplifier combined with parabolic microphone can do the trick. The amplifier takes all the ambient sounds from around you and makes them louder. 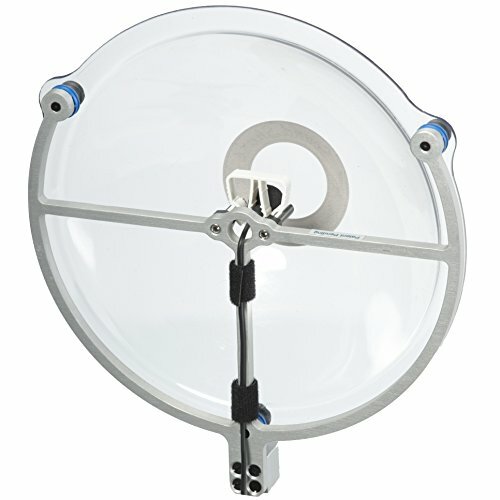 The parabolic mic does a similar thing, except it does it one specific direction. This is what can allow you to hear a conversation (and record audio, depending on the model) from quite a distance away. Keep on reading to learn more about our top picks for parabolic, or directional listening devices. We’re done the hard work for you and tested these products out, as well as scoured the online reviews to find which ones offer the best value for the money. Let’s get to it! The Sound Shark provides a great alternative to shotgun microphones. Record a speaker from up to 6 feet as if they were wearing a lapel mic. This surveillance listening device should be at the top of any list. Although it’s not the option (by a lot), it certainly works the best and also has some excellent user reviews. It is ideal for studying birds and wildlife. Observe flying birds'gestures and hear their voice clearly. Comes with a pair of comfortable padded full-size headphones to reduce ambient noise. 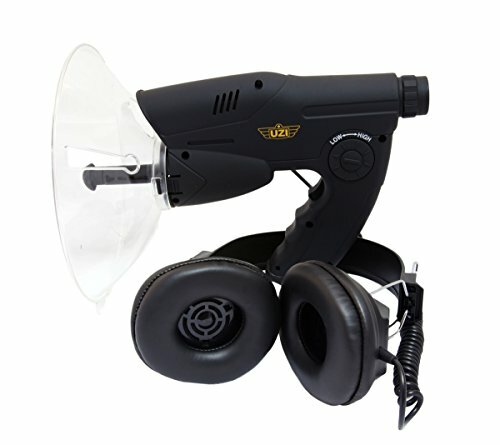 This top-quality parabolic ear listening device should be at the top of any list. Unlike some of other products than get up into the thousands of dollars, it’s very reasonably priced. Despite this, it works well and has a ton of excellent user reviews. It’s ideal for bird watching, sporting events, or covert operations where you may want to listen to what’s going on from a distance. Keep on reading to learn more. If you want to listen to what’s going on around you from a distance away, then this bionic ear may be one of your top picks. It’s a premium listening device with a bit of a steep price tag. Next up on our list of the best long distance listening devices is this one from Uzi. It’s a listening device at quite a reasonable price and works just as well as some of the most expensive models. If you want to overhear conversations, it does it reasonably well. That said, if you want to hear the conversation crystal clear in a busy place, it may not work that well. 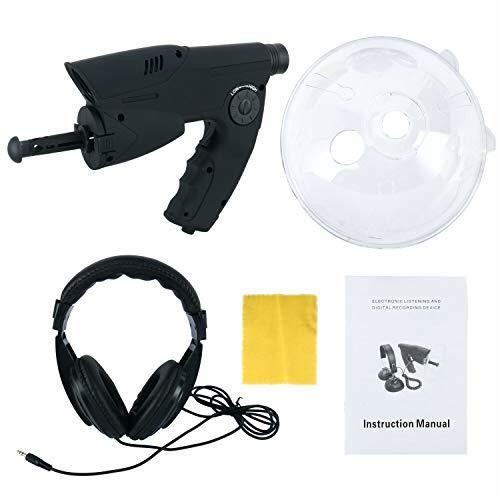 However, you will certainly be able to hear a lot better than with an ordinary voice recording device. The noise reduction feature does quite a good job at filtering out background noise and the high quality microphone picks up almost everything. However, it’s best used at less than 100 feet, not up to 300 feet like the company says. That’s a great question and we’re happy that you asked. Basically, it’s used to collect and focus sound waves onto a single point (a receiver or a microphone). It’s similar to what a satellite dish does with sound waves. The advantage of a parabolic microphone over other audio listening devices is that there’s great sensitivity in one direction. IT also does a great job at blocking sounds from outside this range. Some uses include sports events, broadcasting, recording in windy conditions, eavesdropping on conversations (law enforcement or espionage) or for nature viewing and listening. What Should I Look for in a Directional Listening Device? All these devices will come with a recommended range that you should adhere to for the best results. However, keep in mind that the stated range is under ideal conditions and you don’t always get this. This is especially true in windy or rainy conditions, or when there are obstructions between you and your target audio point. The best ones allow you to hear clearly from quite a distance. 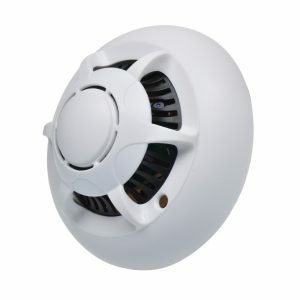 They have a great amplifier combined with noise reduction and the result is good quality sound. The lower-quality ones do poorly on both these fronts and the result is little better than just using nothing! Some of these devices use up a lot of battery power, and/or run on difficult to find batteries. Choose one with regular batteries and that can last for at least a few hours. Some parabolic listening devices can record to an SD card, or attach to a camera, microphone or video recorder easily. Others can only be heard with microphones but are not that easy to record. Which one you choose will strongly depend on your needs. Is it Legal to Use Listening Devices Like These Ones? That’s a great question and we’re happy that you asked. You should certainly do your research before buying one of these products. Laws vary country by country and even state to state. In some cases, you’re free to use them, while in others they can only be used by law enforcement officials. In others, there are some specific situations where it’s okay but many situations where it’s not. Of course, please remember our #1 rule at Spy Cameras Reviewed: Only for good and not for evil! What’s your top pick for directional listening device? Leave a comment below and let us know what you think.